My previous encounters with Peter Gago, the Chief winemaker and the face of Penfolds, always involved tastings and comparing various Penfolds wines and vintages. Our latest meeting was surrounded by even more Penfolds, some were rare and limited release wines, but we didn’t taste a single drop. 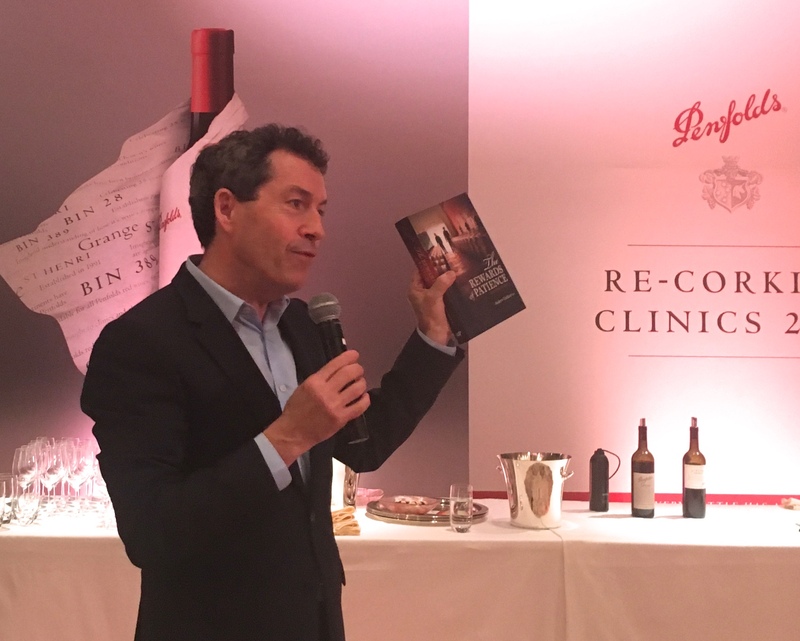 Peter was explaining the recorking service that Penfolds has been providing to its customers around the world since 1991. Penfolds Recorking Clinic was inspired by Chateau Lafite-Rothschild who recorked old bottles for customers. While the French did this subtlety, the Aussie took the concept to a new height by flying a team of winemakers and a manual corking machine to provide this ultimate after-sales service to customers who own any Penfolds red wine older than 15 years old free of charge. The Hong Kong Clinic returned after its inauguration in 2001. This time, more than 400 back vintage wines were registered including the first vintage releases of Magill Estate Shiraz and RWT Barossa Valley Shiraz tracing back to 1983 and 1997 respectively, not to mention Penfolds Grange and St. Henri Shiraz spanning decades. Among the customers are movie star Jackie Chan, who sent in a few cases of Penfolds, and a gentleman who took half a day off and brought over 30 bottles from his father’s collection. The fill level of the wine is the first thing to be inspected at the Clinic. The level of wine decreases over year due to evaporation so it is natural that the older the wine, the lower the fill level. The second step is to open the wine and assess the condition. Around 15ml of wine will be poured for tasting and winemakers will then advise on cellaring and drinking windows, after which bottle is then topped up with the later vintage of the same wine. In between stage, inert gas is bumped into the wine to display oxygen in the bottle. If the wine condition is satisfactory, it will be certified, recorked with a new dated cork, capsuled and finally beautifully wrapped in tissue paper before returning to the customers. Although the process will not extend the life of the wine, it nevertheless stops the wine from further deterioration. However, if the fill level of the wine is way lower that the vintage indicated, or it is at the low shoulder already, or if the wine passes the peak, Penfolds will still service the wine but only put a blank cork without any capsule. Customers are therefore able to enjoy the wine but the wine will have no resale value. Health check was the reason when Penfolds opened the Recorking Clinic 26 years ago but as Peter elaborated, the Clinic has also become an ‘Authenticity Clinic’ as customers can trace the bottle using the unique certification number. It also takes the bad wine out of the secondary market. 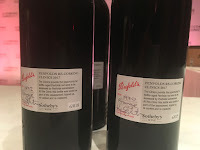 Sometimes the Penfolds team might come across rare and old bottles in good conditions, and they would offer to buy back from customers. But above all, it is the engagement with customers first hand that keeps the Clinic running. Peter said 20 years, Australia customers went to the Clinic with the wines and kids. Now, these kids grow up and will take the wines to Clinic with their own children. The sentiment as well as quality is the secret to build customer loyalty.